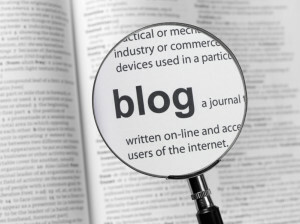 From topical stories to an array of resource materials, the Oxford University Press Southern Africa Blog brings you all the news, resources and interesting reading in one place. Our passion for education has been the driving force behind everything we do at Oxford and we believe that a good education is the key to the social transformation that is needed in South Africa. We are immensely proud to be able to contribute to the educational community through the provision of our diverse range of learning and teaching materials – made for South Africans, by South Africans. We have built a reputation over the last 25 years for developing textbooks and teaching material that display academic rigour and provide valuable tools in the classroom and lecture hall. We are proud to play a role in making learning material available to learners; as well as university, university of technology and college students throughout Southern Africa. We share the mission of Oxford University to bring excellence in education, scholarship and research to people around the world, and are proud to be part of this long tradition. Our commitment is to our customers in the Schools and Higher Education markets in Southern Africa and with this blog we aim to share information that is useful and insights that are enlightening. As your partner in education, we aim to provide a platform of inspiration to you. Welcome!